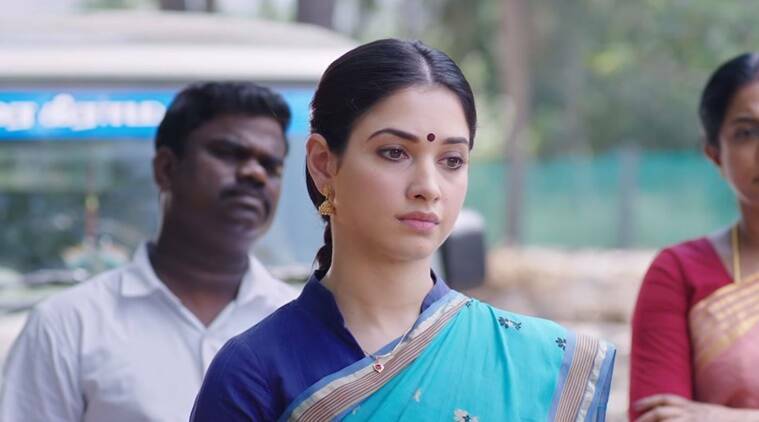 Tamilrockers leaks Kanne Kalaimaane movie: Kanne Kalaimaane, starring Udhayanidhi Stalin, Tamannaah Bhatia, Vadivukkarasi and Poo Ramu among others, is the latest victim of Tamilrockers. Kanne Kalaimaane is the latest victim of Tamilrockers. Seenu Ramasamy directorial Kanne Kalaimaane has been leaked by Tamilrockers. The movie stars Udhayanidhi Stalin and Tamannaah Bhatia in the lead roles. This film is only the latest victim of the piracy website that regularly uploads copyrighted content illegally. This year itself, there is a long list of movies that are now available on the website illegally. In fact, it would be more difficult to find a movie which has not been leaked by Tamilrockers. Kanne Kalaimaane is the 50th film of Tamannaah Bhatia’s career. The film’s supporting cast includes Vadivukkarasi and Poo Ramu among others. It is produced by Udhayanidhi under his banner Red Giant Movies. While Yuvan Shankar Raja has given the music, Vairamuthu has penned the lyrics. Tamilrockers leaked movies like Rajinikanth’s Petta, Ajith’s Viswasam, Vicky Kaushal’s Uri: The Surgical Strike, Kangana Ranaut’s Manikarnika: The Queen of Jhansi, Anupam Kher’s The Accidental Prime Minister, and more recently, Ranveer Singh and Alia Bhatt’s Gully Boy. Last year, Tamilrockers leaked several big movies like Rajinikanth’s 2.0 and Thugs of Hindostan, possibly causing the loss of crores of rupees to production houses and distributors. Despite action by law enforcement agencies and even interventions by the courts including the Madras High Court, Tamilrockers operates with impunity.